I get lots of emails asking for fish leftovers recipes. It depends what it is and how much you have, but here's some ideas. The main problem with fish is that there often isn't a lot left - to be honest, I cook 'portions' of fish - so there's very rarely any left. What I mean is, there's a fillet per person *BUT* you can cook an extra portion because some of these recipes are truly delicious. 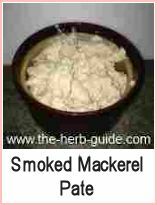 It's well worth having one or two portions of cooked fish in the freezer for when you want to make a pie or similar. 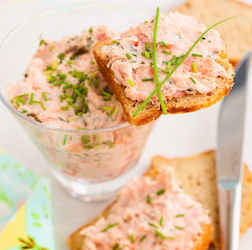 Fish Pate - if you have some smoked fish (salmon, trout, mackerel, haddock etc) left - then mix it with an equal amount of cream cheese, a squeeze of lemon, black pepper to taste and pound it into a paste. Then spread this on warm toast or crackers. Excellent for buffet meals. Fish Cakes - mix your cooked fish with some mashed potato - make into cake shapes, dip in seasoned flour, rest in the fridge for about 30 minutes (the fish cakes, not you) and then fry about 5 minutes either side. Twice as much potato as fish, or if you've only got a small amount, then add some canned seafood to bulk out the cooked leftover fish. Fish Pie - stir your fish into a parsley sauce, pop it into an oven proof dish and cover with a pastry lid - bake about 40 minutes. 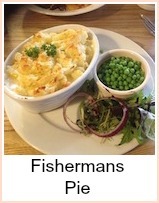 Alternative Fish Pie As above, but top with mashed potato and some grated cheese. Alternative Alternative Fish Pie - as above but top with crumble mixture. Fish Soup - make a fish stock or use a cube, add some chopped onion, celery and potato, a small tin of pulped tomatoes and simmer until the vegetables are tender, whizz in a blender until smooth - season and then add your cooked fish to heat through to make a bisque type soup. 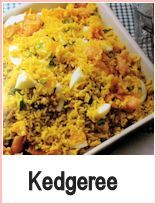 Kedgeree - use smoked fish or a mixture - boil 4 oz (100g) long grain rice until cooked, hard boil 2 eggs then chop them - melt a good knob of butter in a frying pan, add the rice, some cayenne pepper and stir well - add the fish, chopped egg and heat it through - lovely. Seafood Quiche - make or buy a pastry case. Mix four eggs, 1 cup of milk or cream, some chopped vegetables - broccoli or asparagus for instance - salt and pepper to taste and your fish. Pour into the case and top with grated cheese if you like (I like cheese) or dollops of cream cheese. Bake in a moderate oven for 30 minutes or until the top is set. 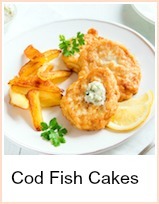 There are of course other fish leftovers recipes, but these are the ones I would use the most. The photos below go to specific recipes, but there are many more similar on this website - use the search box at the top of every page. It might even be worth cooking smoked fish for the kedgeree - haddock's my favorite.